Infant reflux (sometimes called infant acid reflux) is the condition where the contents of the stomach are spit out, usually shortly after feeding. Spitting up (infant reflux) becomes less common as a baby gets older, and it's unusual if it's still occurring after 18 months of age. In a small number of cases, reflux can be a sign of a more serious problem, such as gastroesophageal reflux disease (GERD), an allergy or a blockage. Spitting up and vomiting are the main symptoms of infant reflux. As long as your baby is healthy, content and growing well, the reflux is not a cause for concern. Your child will in all likelihood outgrow it. While your baby may act fussy or seem to be uncomfortable, it is very unusual for the stomach contents to be acidic enough to irritate the esophagus or throat, as happens with acid reflux. Some of these signs may indicate more-serious conditions, such as gastroesophageal reflux disease (GERD) or pyloric stenosis. In GERD, the reflux contains stomach acid which damages the lining of the esophagus. Pyloric stenosis is a rare condition in which a narrowed valve between the stomach and the small intestine keeps stomach contents from emptying into the small intestine. Infant reflux is related to a number of factors, often in combination with one another. In infants, the ring of muscle between the esophagus and the stomach — the lower esophageal sphincter (LES) — is not yet fully mature, allowing stomach contents to flow backward. Eventually, the LES will open only when baby swallows and will remain tightly closed the rest of the time, keeping stomach contents where they belong. Babies are lying flat most of the time, which makes reflux more likely. Moreover, their diet is completely liquid, also favoring infant reflux. Sometimes air bubbles in the stomach may push liquids backward. In other cases, your baby may simply drink too much, too fast. Although infant reflux most often occurs after a feeding, it can happen anytime your baby coughs, cries or strains. Allergic gastroenteritis is an intolerance to something in food, usually a protein in cow's milk. Gastroesophael reflux disease (GERD) is a more severe condition where the reflux is acidic enough to actually irritate and damage the lining of the esophagus. Eosinophilic esophagitis is a condition where a particular type of white blood cell (eosinophil) builds up and injures the lining of the esophagus. Obstruction is a blockage or narrowing in the esophagus (esophageal stricture) or between the stomach and small intestine (pyloric stenosis). Most cases of infant reflux clear up on their own without causing problems for your baby. If the condition is not normal reflux, but is GERD or some other condition (much less common), the baby may show signs of poor growth or problems with breathing. Some research indicates that babies who have frequent episodes of spitting up may be more likely to develop gastroesophageal reflux disease during later childhood. If you're worried about infant reflux, you'll likely start by seeing your child's family doctor or pediatrician. If the reflux is persisting past your child's first birthday or if your child is having some worrisome symptoms such as lack of weight gain and breathing problems, you may be referred to a specialist in digestive diseases in children (pediatric gastroenterologist). Write down any symptoms your baby is experiencing. Note when the baby spits up. Is it every time he or she feeds? How much liquid is your baby spitting up? Does it seem like he or she is throwing up everything eaten? Make a list of key information. How often do you feed your baby? How long do feeding sessions last? How often do you burp your baby during feedings? Are you breast-feeding? If not, what type of formula are you using? How do you prepare the formula? Have you recently switched formulas? What's the most likely cause of my baby's symptoms? Does my baby need any tests? Am I feeding my baby too much? Or am I feeding my baby too often? When did your baby first begin experiencing symptoms? Does your baby spit up with every feeding or only occasionally? How is your baby's temperament? Is he or she content between feedings? Have you recently switched from breast-feeding to bottle-feeding? Or have you switched infant formulas? How much does your baby eat at each feeding? Does the same person feed your baby every time? If you have different caregivers, does everyone feed the baby the same way each time? Does anything seem to improve your baby's symptoms? Diagnosis of infant reflux is typically based on your baby's symptoms and a physical exam. If your baby is healthy, growing as expected and seems content, then further testing usually isn't needed. Ultrasound. This test is used to detect an obstruction in the opening between the stomach and small intestine (pyloric stenosis). Lab tests. Various blood and urine tests can help identify or rule out possible causes of recurring vomiting and poor weight gain. Esophageal pH monitoring. To determine if irritability, sleep disturbances or other symptoms are associated with reflux of acid, it may be helpful to measure the acidity in your baby's esophagus. The doctor will insert a thin tube through your baby's nose or mouth into the esophagus. The tube is attached to a device that monitors acidity. Your baby may need to remain in the hospital while being monitored. Upper GI series. If the doctor suspects a gastrointestinal obstruction, he or she may recommend a series of X-rays known as an upper gastrointestinal (GI) series. Before the X-rays, your baby is given a white, chalky liquid (barium) to drink. The barium coats the stomach, which helps any abnormalities show up more clearly on the X-rays. Upper endoscopy. Your baby's doctor may use this procedure to identify or rule out problems in the esophagus, such as narrowing (stricture) or inflammation (esophagitis). The doctor will insert a special tube equipped with a camera lens and light through your baby's mouth into the esophagus, stomach and first part of the small intestine. Samples of any suspicious tissue may be taken for analysis. 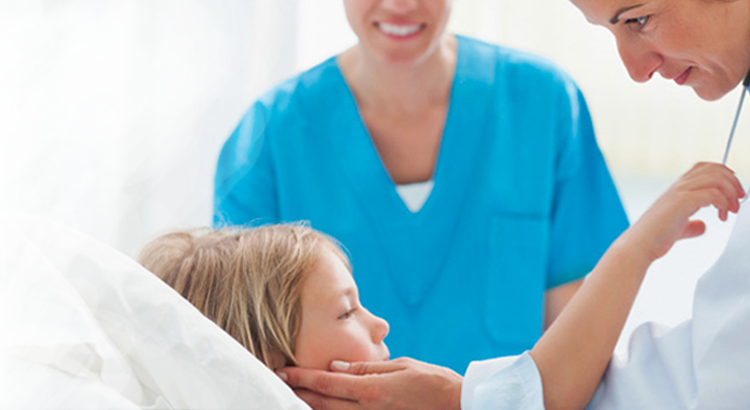 For infants and children, endoscopy is usually done under general anesthesia. To test to see if the reflux is caused by an allergy to a protein in cow's milk, your baby's doctor may suggest that you eliminate dairy products or beef from your diet if you're breast-feeding. If you feed your baby formula, sometimes switching types can help. Medication. Acid-blocking medications are not recommended in cases of uncomplicated infant reflux. A short-term trial of an H-2 blocker such as ranitidine, or perhaps a proton pump inhibitor such as omeprazole (Prilosec) or lansoprazole (Prevacid), may be worth trying for babies who have poor weight gain, refuse to feed, have evidence of esophagitis or who have chronic asthma and reflux. It's important to note that otherwise healthy children taking these medications may face an increased risk of certain intestinal and respiratory infections. In addition, prolonged use of proton pump inhibitors has been linked to problems in iron and calcium absorption in infants. Surgery. In rare instances, the muscle that relaxes to let food into the stomach (the lower esophageal sphincter) needs to be surgically tightened to prevent acid from flowing back into the esophagus. This fundoplication procedure is usually reserved for the few babies who have reflux severe enough to interfere with breathing or prevent growth. Keep baby upright. Feed your baby in an upright position, and hold your baby in a sitting position for 30 minutes afterward, if possible. Gravity can help stomach contents stay where they belong. Be careful not to jostle or jiggle your baby while the food is settling. Try smaller, more frequent feedings. Feed your baby slightly less than usual if you're bottle-feeding or cut back a little on the amount of nursing time if you're breast-feeding. Take time to burp your baby. Frequent burps during and after feeding can keep air from building up in your baby's stomach. To burp, sit your baby upright, supporting his or her head with your hand. Avoid burping your baby over your shoulder, which puts pressure on your baby's abdomen. Put baby to sleep on his or her back. Most babies should be placed on their backs (supine) to sleep, even if they have reflux. Thickening formula or expressed breast milk with rice cereal is an older remedy for infant reflux. It isn't universally recommended today. If you thicken your baby's formula, you might notice less spitting up — but some research suggests that the number of reflux episodes actually remains the same. Thickening formula also adds potentially unnecessary calories to your baby's diet, and might lead to choking or other problems during feeding. Thickening expressed breast milk with rice cereal isn't likely to be effective because the enzymes in breast milk break down the starch in the cereal — which quickly thins the milk. Remember, infant reflux is usually little cause for concern. Just keep plenty of burp cloths handy as you ride it out.